One minute of match-3 fun! Hello, Blitzers! It's our 11th Blitzversary this month. Are you in for a sparkling celebration? Blitz takes everything we love about classic Bejeweled and kicks it into overdrive. Match all the gems you can in less than a minute, unleashing dazzling pyrotechnics and point-multiplying combos to send your score into the stratosphere. The game's frantic pace is ideal for quick contests on the go, but its boundless one-more-try appeal makes it just as satisfying whether you play for a few rounds or 50. Developers - PAY ATTENTION TO ALL THE POOR REVIEWS!!! 1. Never getting the jackpot when playing special gems. I certainly don’t expect to get it one out of 9 times, but at this point I have played HUNDREDS of rare gems and NEVER gotten the grand prize. Once in a while you gotta let your loyal players win. 2. In the new Spin feature, let the players watch two ads for two additional spins ever 24 hours like you used to do on the old spin feature. Odds on the spins get you small numbers of coins most of the time anyway, so why not at least offer a few more chances to spin each day. 3. The events are not showing much imagination. Please change the rewards more often. I liked intermediate rewards of gold bars and shards that you did at the holiday season. I don’t need more coins - I’d like to be able to get shards and gold coins in some way without having to go to the champions events. I enjoy the champions events but there should be some other way for players to get shards and gold bars. 4. I like the happy hour and special offers store ideas. However, again, please have some of the happy hours provide sales on shards and gold bars, not just coins. As I said, I can get coins plenty of ways and will NEVER spend money on coins or rare gems, no matter what the discount or special offer. I like many of the new features and the artwork is beautiful, however I have a couple of concerns still including the new gem pro series has been asking for TASKS that seem all but impossible like getting 12**star gyms in one game. Maybe you meant to say flame gems. 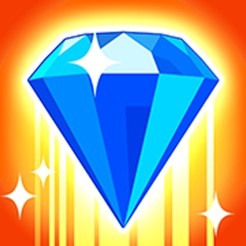 I have played for years since the beginning of this game and I have never managed to make over about five star gems and any single game I agree that the challenges should make you work to increase your skills but it is discouraging to set the pole too high. I would also like to see the spins less tightly controlled and also the prize bonuses after playing rare gems to be more random.